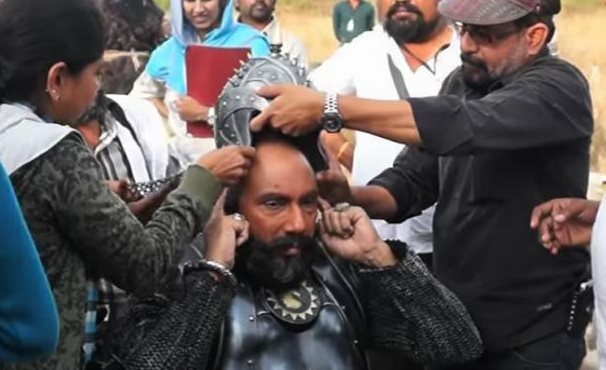 Veteran Tamil actor Sathyaraj, who won critical acclaim for his performance as the loyal warrior Kattappa in S.S. Rajamouli's "Baahubali", has been asked to allocate over 100 days for the shoot of the remaining portion of the second part of the franchise. "The regular shooting of 'Baahubali 2' will resume from September. Nearly 40 percent of the film has already been completed. Sathyaraj sir has been requested to set aside over 100 days for the shoot," a source from the film's unit told. In order to keep himself available for the shoot, Sathyaraj reportedly turned down a big offer in Tamil superstar Vijay's next film. "He was offered the role of the antagonist in Vijay's yet-untitled 59th Tamil film. He turned down the offer because he had already committed himself to the second part of 'Baahubali'," the source said. The shoot of "Baahubali 2" is expected to go on till the year-end and the film is being planned to be released during the summer of 2016. Meanwhile, "Baahubali" has turned out to be highest grossing south Indian film ever by raking in over Rs.500 crore, and it's still counting at the box office. "Baahubali 2" also features Prabhas, Rana Daggubati, Ramya Krishnan, Anushka Shetty and Tamannaah Bhatia in important roles.